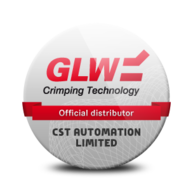 With the semi-automatic stripping machine AM All Round you can easily, comfortably and safely undertake high precise stripping works on single strands and cables. Without any great difficulty you can strip extremely difficult insulations which up to now could have been treated insufficiently with conventional clamping and cutting methods or which could have not been treated at all. The rotation blade head is a development of our company. By means of a very complex technical construction the different functions such as rotation movement, adjustment of the blades, removal etc. are resolved by only one control motor. For comfortable operation the machine is equipped with a LC-Display. 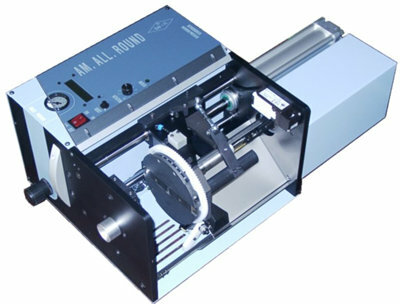 The AM All Round has been produced for daily industrial use. All operating elements are arranged in a logical and easily accessible way. Any modification for other cable diameters or stripping and removing lengths can be easily carried out within seconds. You can adjust the rotation time of the blade head between 0.3 and 3 sec. in order to reach optimal cycle times. Insulation waste is ejected on the side of the machine and thus can be collected or separated, while the working area remains clean. Naturally, the AM All Round is equipped with all necessary safety devices according to the EC-Machinery Directive.